This month will see the erection of our first tower crane (TC1). Erection of the tower crane will require a temporary road closure to be in place along Nile Street over the weekend of 8th – 9th July. Neighbours who are adjacent to the site or who may be affected by the tower crane erection will have already received a separate letter providing details of the road closure and tower crane erection. Work experience placements are being arranged via Inspire, a local charity that supports the education, training and development of young people by forming mutually beneficial forming partnerships between businesses and schools in Hackney. 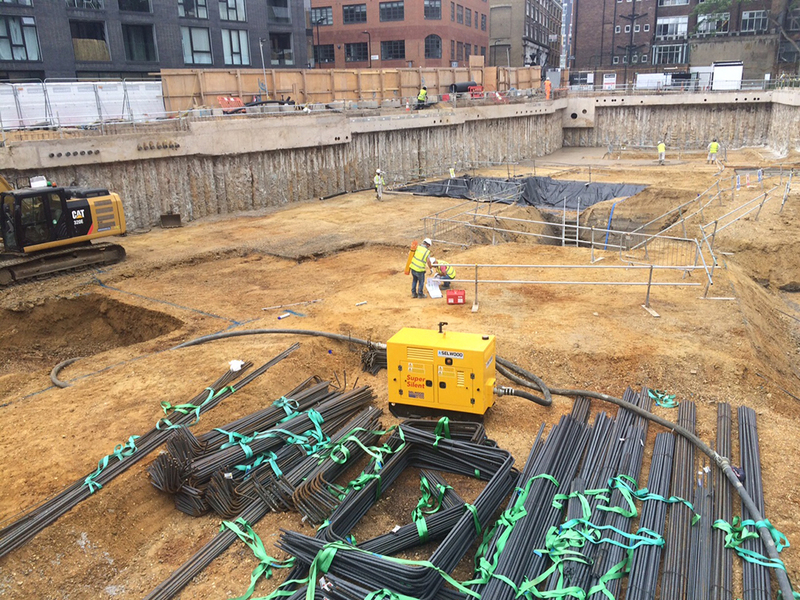 During June, we completed excavation of the new basement area. 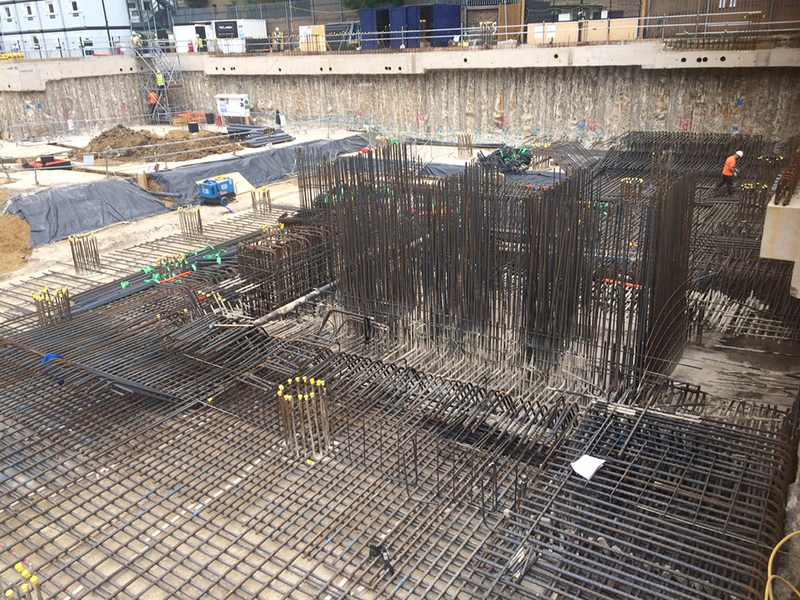 The tower foundation and tower crane piles have been trimmed down to their correct length below the new basement slab. 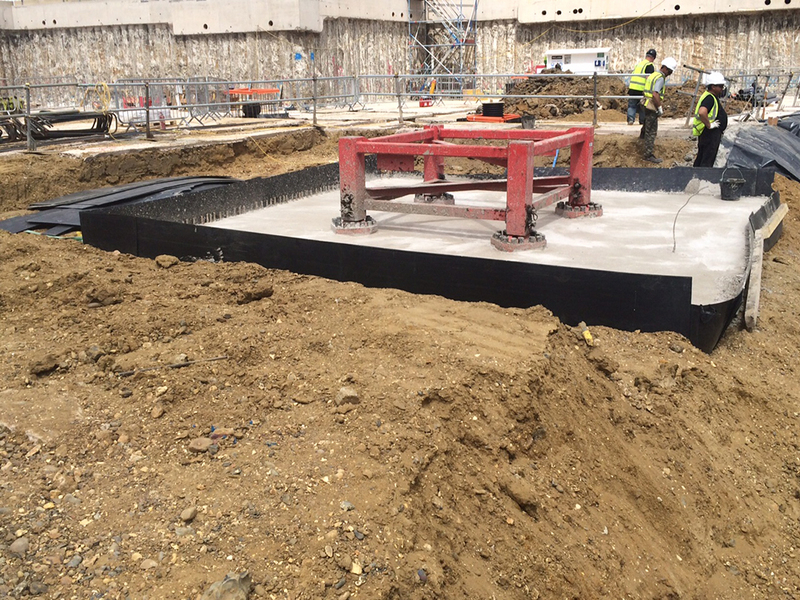 Drainage has been installed in the basement slab as the works progress, and the first areas of the basement slab have been concreted. The site has also been connected to a temporary power supply, enabling removal of the existing generators. During July, we will continue to construct the basement slab and (as areas become available) we will begin constructing the basement columns and walls. Please note that during the weekend of 8-9th July, the site will extend its opening hours to facilitate the erection of our first tower crane. A mobile crane (that will be set up in Nile Street between the junctions of Westland Place and Britannia Walk) will undertake erection of the tower crane. Vehicle traffic will be redirected (as appropriate) to avoid the temporary road closure. Please see Traffic Management Plan in the below gallery.